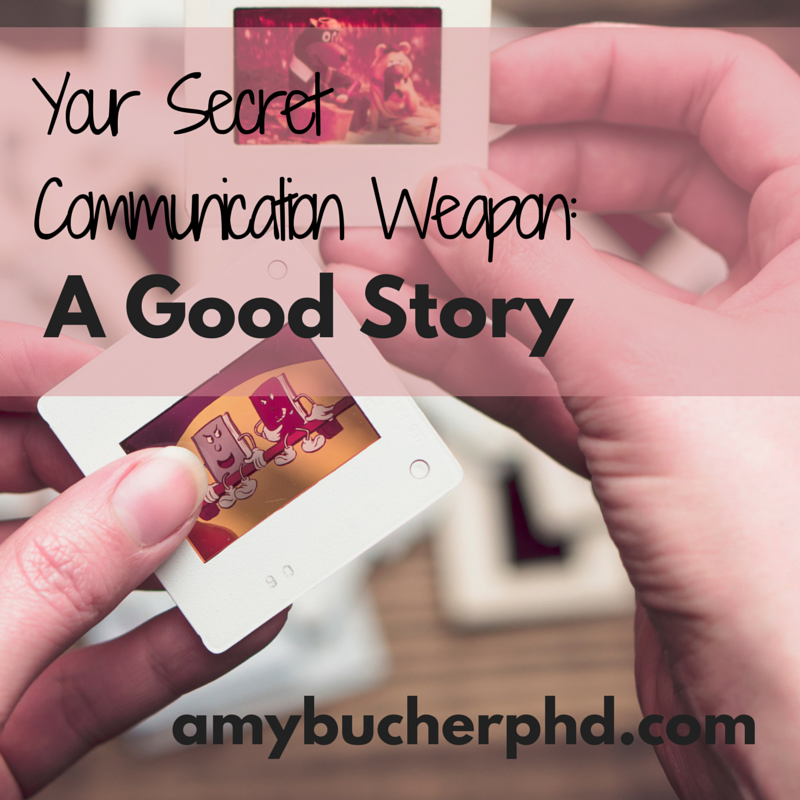 Your Secret Communication Weapon: A Good Story | Amy Bucher, Ph.D. Stories can also be used for harm. Some evidence suggests that people who don’t vaccinate their children may be strongly compelled by friends’ stories, more so than by data. Earlier this year, I accidentally harnessed the power of story without realizing it. When I emailed people about contributing to my fundraising for the 2015 Boston Marathon, I included a 2001 newspaper story about my grandfather, who died of cancer in 2002. I included the story because my grandfather is one of several people in my family who had cancer, and their collective experiences have made me passionate about finding better ways to prevent, detect, and cure the disease. It seemed lucky to have a beautifully written article about someone in my life whose tale was directly related to my cause. My thoughts were on communicating the meaning that Dana-Farber had for me more than anything else. What I discovered was that sharing the story of my grandfather alongside my request not only increased the number of donations I received, but it also elicited beautiful responses from the people I reached out to. Some folks had their own stories of family members with cancer. People in my family who knew and loved my grandfather obviously found the story immediately resonant. And some people told me they enjoyed learning something deeply personal about me and my family that helped them to know me better. All of this from a fairly concise story. How have you used stories to be a more effective communicator? When have you been persuaded by a story? Yup. My career is a fundraiser for a nonprofit. You’re totally right that stories, not data, motivate people to give.